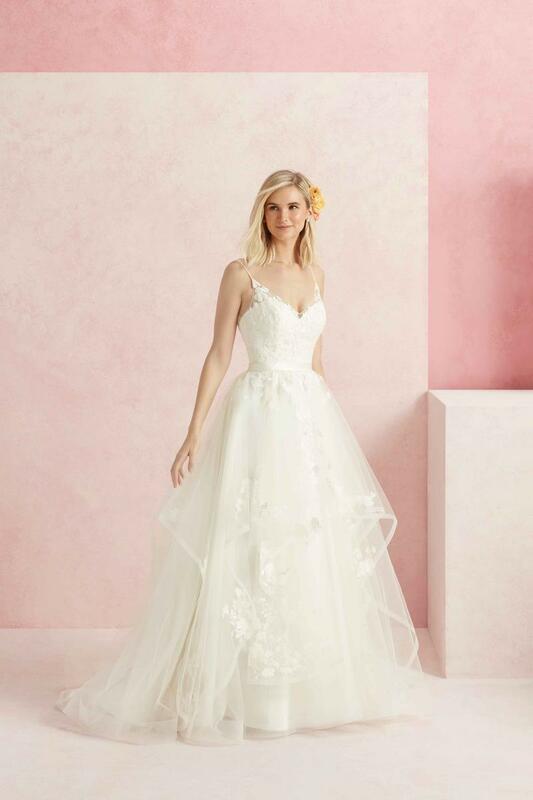 Flirty, feminine and fit for a princess, Sweet is a ball gown made from cascading layers of butterfly lace on tulle, with a horsehair trim for added volume. A dramatic V-shaped back is framed by illusion straps framing a V-neck in the front as well. The natural waist is accented by a Duchess satin belt, and by several satin buttons in the back.